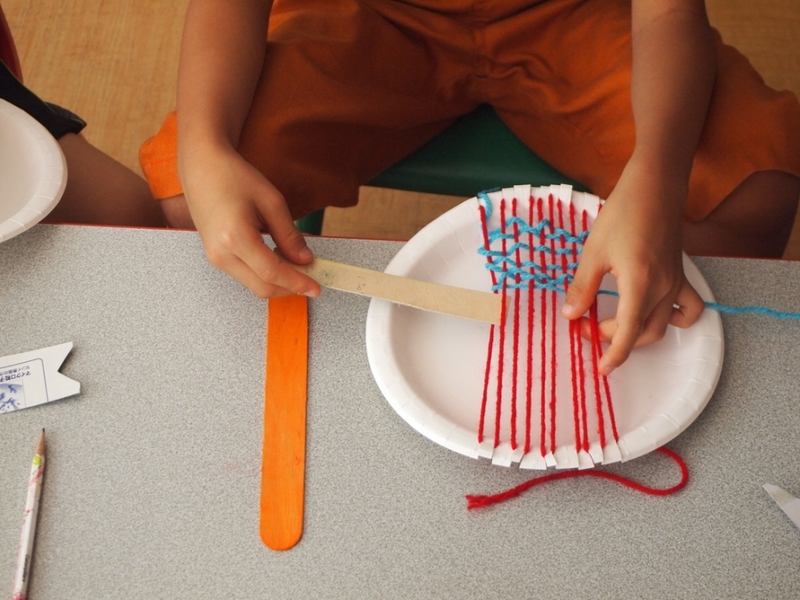 Children using a backstrap loom as a group. 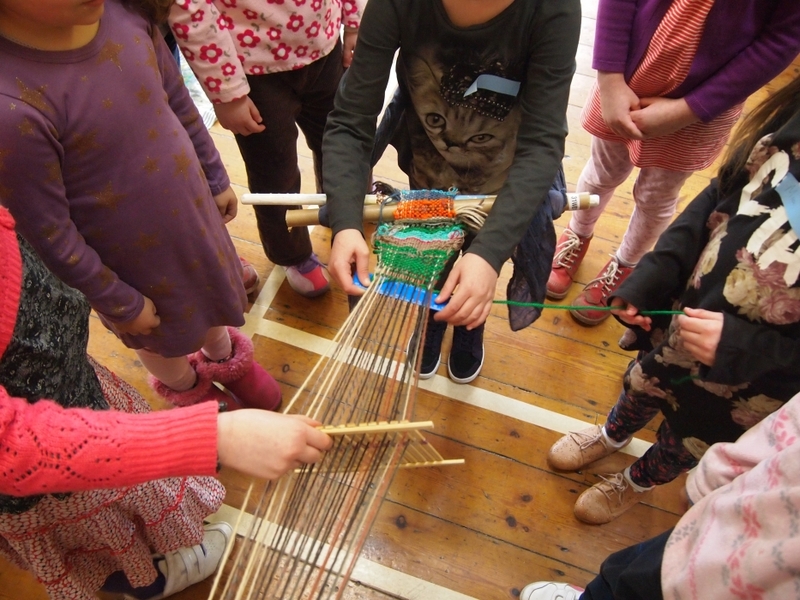 Weaving with children and family learning. I can organise and facilitate classes, workshops and short courses in weaving. 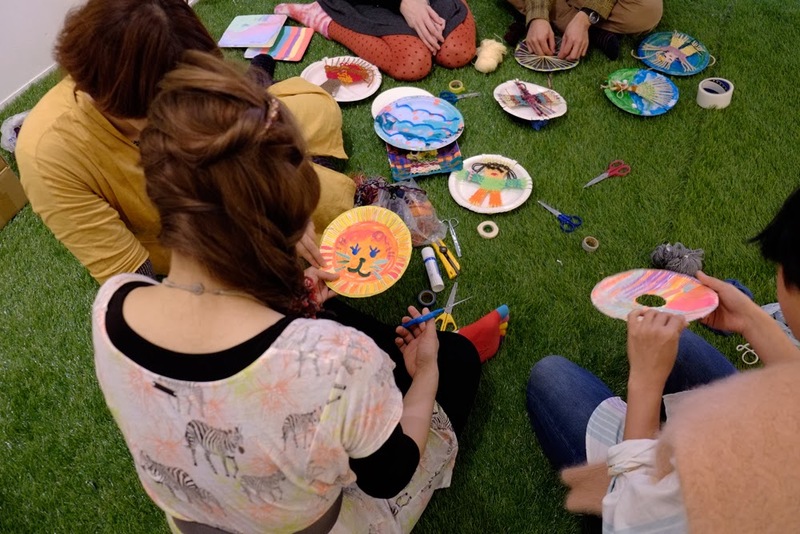 Sessions can be organised from 1 hour to day workshops or ongoing courses. 3. While plates are drying, have a discussion about weaving. Which of the clothes you are wearing today were woven? Is weaving the same as knitting? What countries around the world do weaving? 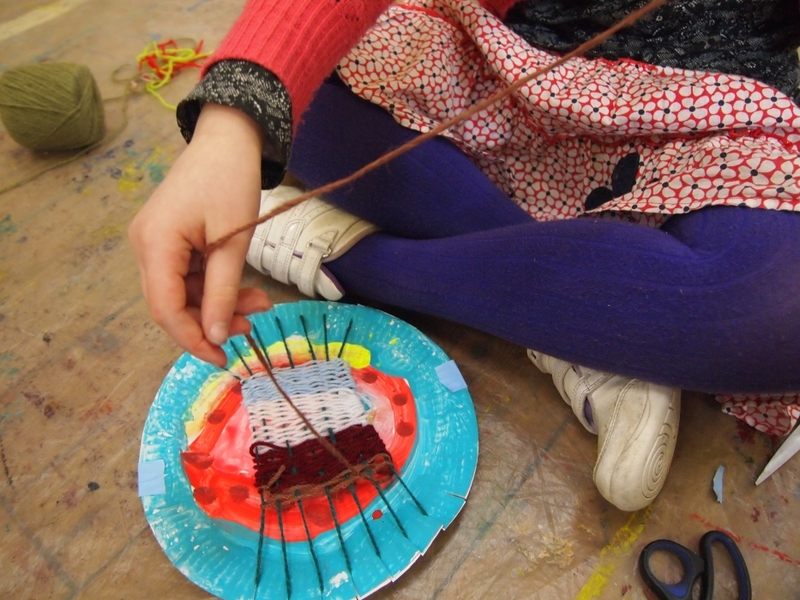 materials: paper plates (1 per participant), a variety of coloured yarn, scissors, masking tape, poster paint, brushes. I have a current DBS check for children and vulnerable adults.